Corflute Signage is Inexpensive & Displays Your Custom Designs! 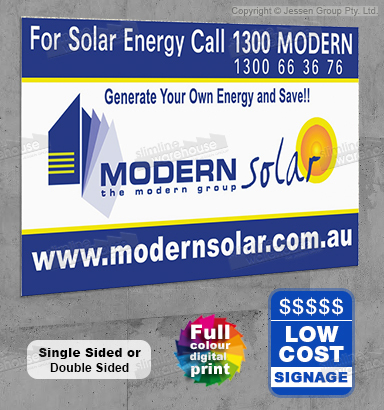 A0 (1189 x 841mm) signboard show your custom graphics printed in full colour to turn heads! Optional metal eyelets for affixing the sign using fishing line, plastic ties, chains, & more! The corflute signage is used in a number of different locations as effective temporary signs. Construction sites, real estate agencies, tradesman, and more use these corrugated plastic boards for showing the public important information, advertising houses for sale, and promoting their company as they work on a project. The plastic signs, corflute signage display an A0 (1189 x 841mm) standard-sized board with your custom graphics printed in either landscape or portrait orientation. Full colour designs are possible with these sign boards, helping to turn heads and garner attention from passersby when used in any location. Temporary signs, corrugated plastic boards, and other corflute signage is made of 5mm corflute for a durable, waterproof display that is an inexpensive method of promotion. The corrugated plastic boards also offer the option of having the signs printed single or double-sided. 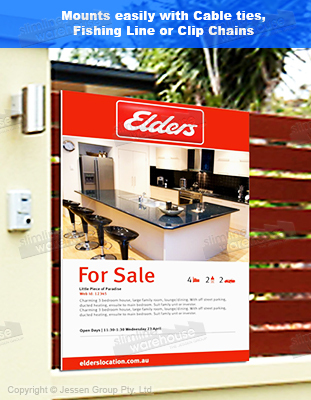 Double-sided boards allow business to advertise in more locations at once without taking up more room! These plastic signs have optional metal eyelets that are inserted on the corners of your signage. These metal eyelets help with the mounting of the signs onto fences or similar using plastic ties, clips, chains, or fishing line. These corrugated plastic boards are also available without eyelets, and are perfect for displaying using a sign stake, A-board, or floor stand! Corrugated plastic boards have a wide range to choose from, allowing your business to find the proper sizes & style that will work best for your needs. 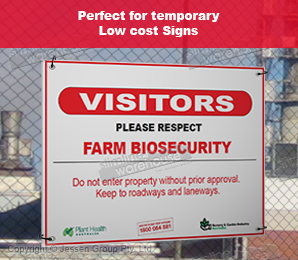 The waterproof signs are a temporary solution that can be used in a number of different locations easily. You can use custom designs in portrait or landscape orientation with the A0 (1189 x 841mm) sized board! Order one of these inexpensive yet durable signs today! Our extensive online catalogue is home to many different displays, such as LED light boxes, A boards, lecterns, cafe barriers, brochure racks, cable displays, stand offs, barrier posts, & many more. Browse our entire selection before making your final purchase. Slimline Warehouse is a national leader for all of your display products needs. Our lines of products are full of high-quality items at low prices, making them an easy purchase for any company. Our warehouse despatches to Sydney, Melbourne, Perth, Adelaide, Brisbane, & anywhere in Australia!